Rain Barrels still available for purchase! 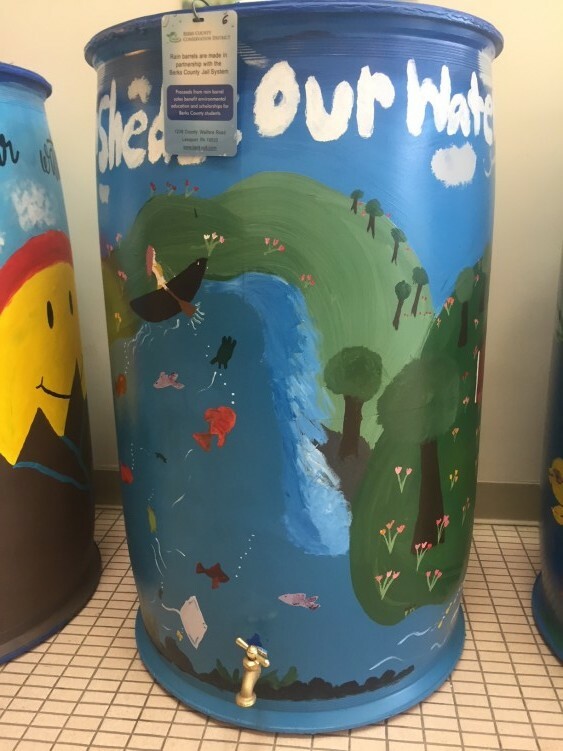 The “Paint the Rain” rain barrel decorating contest is a contest for high schools throughout Berks County (public, private, charter, home school, etc.) 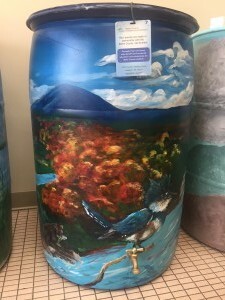 to artistically paint Berks County Conservation District (BCCD) rain barrels. 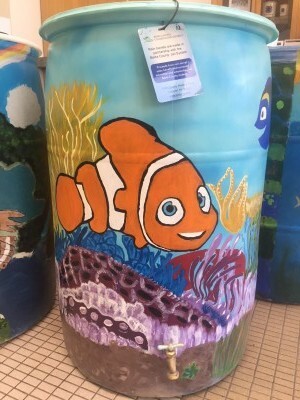 The Berks County Conservation District provided each participating class or school club with one rain barrel, a gift card for $25 (to help with the cost of painting supplies), and an in-classroom presentation/technical support visit from the Berks County Conservation District. This year’s theme is “Watersheds: Our Water, Our Home.” First, second, and third place teams will each get a gift card for their team, class, and/or school and a certificate of recognition from the Berks County Commissioners. For the 2018 contest, 14 barrels were painted and 8 different schools participated. The barrels were on display at the Berks County Agriculture Center for the months of April and May. Check out our Facebook page for photos of the great artwork done by local students! The rain barrels will be “auctioned” off to interested individuals, with proceeds going to the Berks County Conservation District Scholarship fund, which supports students interested in majoring in environmental education in college. Stay tuned for more info on future contests!